Hi, I am Miss Clifton and I would like to give you a warm welcome to MC's class web page. Hopefully you will find all of the information you need here but please feel free to contact me or come in for a chat on our drop in days. We are very lucky to be supported in our learning by Mrs Stray in MC ​every morning. On Fridays at 3.p.m. there is a 'drop in ' session where you can pop in for a quick chat. If you need to speak privately please ring via the office to set up an appointment. Alternatively, you can use the contact form below to email me and I will reply as soon as possible. 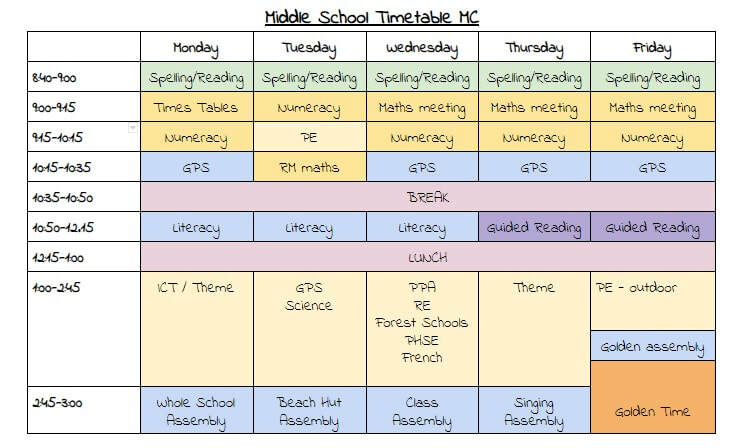 Homework is sent out on Tuesday afternoons and should be returned to school the following Monday. Please have a look at the tasks before the end of the week in case you have any questions. There are four types of task: English, Maths, Times Tables/Spelling practise or a 'Learning Log' style task. For some homework tasks, a top dog award may be given for the most creative work or where extra effort has been made. Also don't forget to read and get your record signed! A new set of spellings will be sent home on Tuesday afternoons in spelling books. These should be learnt and will be tested the following Monday. Gold stars will be awarded if all spellings are correct. It is important to have a correct and complete kit for all PE please. Earrings should not be worn (no tape allowed) and long hair must be tied back. ​This term, MC will be learning all about the rainforest. We will begin by using our key skills as geographers to find out where each rainforest is in the world as well as the layers of vegetation and rainforest climates. Later in the term, we will make rainforest instruments such as rain sticks and look at a variety of art, design and technology too. After half-term we are planning a trip to Colchester Zoo to take part in a 'Rainforest workshop'. 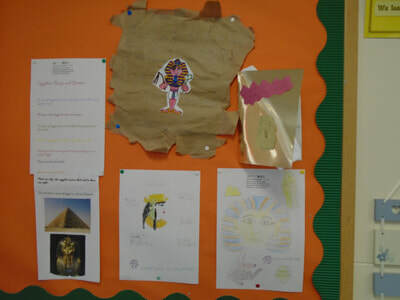 Our theme this term is based around Ancient Egypt; we have been developing a variety of key skills on this subject. Through our topic, MC have been learning to be geographers and locating areas around Egypt such as the River Nile. 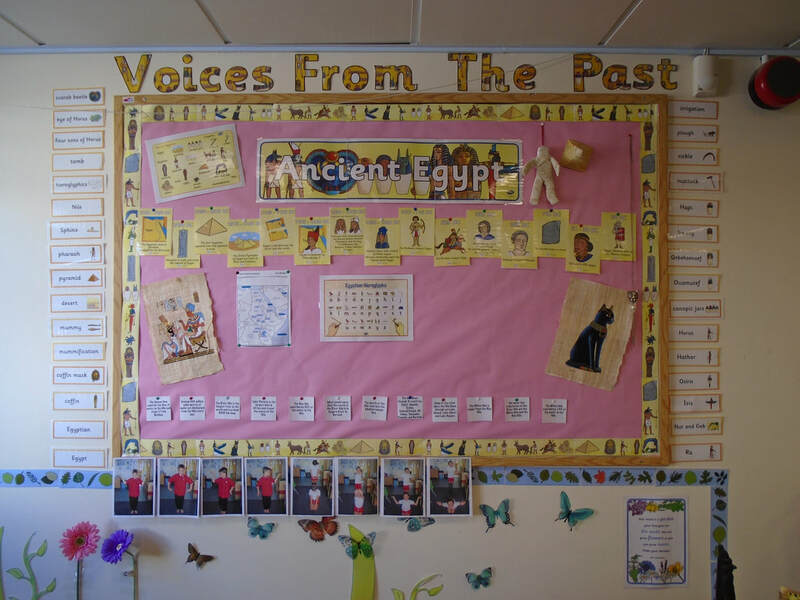 We will then become historians and find out about life in Ancient Egypt, understanding the significance of Egyptian Gods and Goddesses as well as the Kings and Queens. Later in the term, we will investigate mummification. Furthermore, we will develop our skills as designers by learning how to make papyrus paper as well as creating a Shaduf. 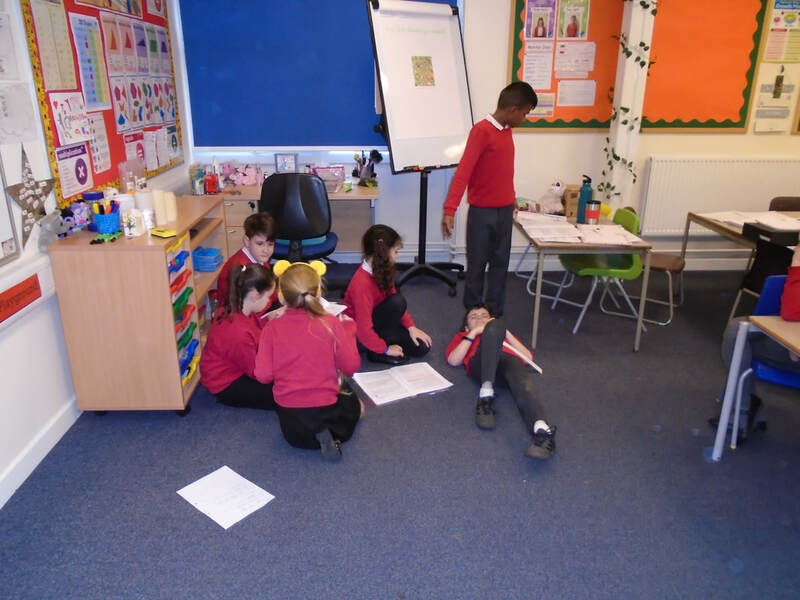 We believe it is important that learning does not only take place inside the classroom and therefore have been busy developing our skills in a variety of settings. 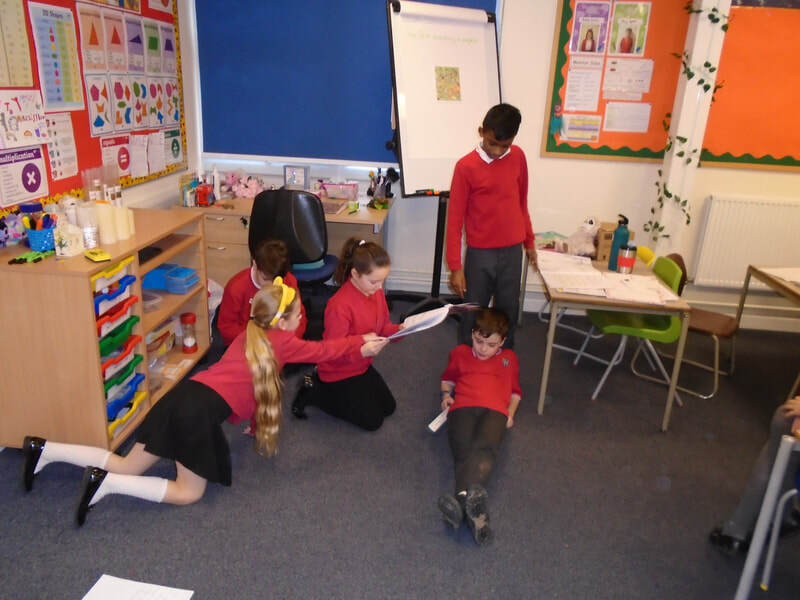 During our unit on writing descriptive stories, MC re-enacted the story of Scooby Doo and the Mummy Too in Hadley Woods before writing our own versions. In our science unit on rocks and soils, MC went on a rock hunt around the school looking for different uses and sorting rocks into categories. We have been learning lots about our topic based on Ancient Egypt on two school trips this term. Before half term, we visited the local beach to build Egyptian sand sculptures including pyramids, sphinxes and scarab beetles. More recently, we had the chance to get up close to real Egyptian artefacts at the Ipswich museum and even saw a real mummy! 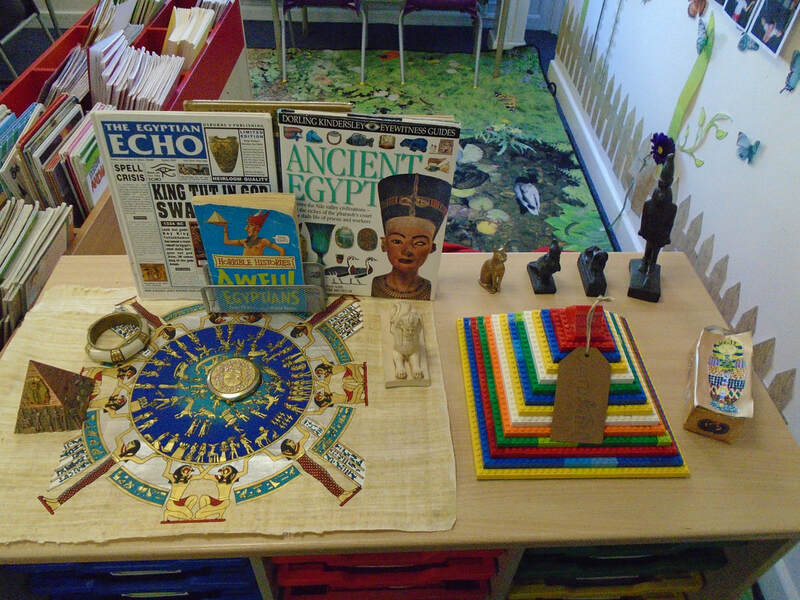 The children also made their own clay shabtis and amulets as well as designing an Egyptian god based on the animals in Victorian animal exhibition.